It is well understood that fire fighters are exposed to contaminants. Those contaminants soil fire fighter PPE (personal protective equipment) and other fire service gear. Cross-contaminated equipment and gear are suspected of adversely influencing long-term fire fighter health and wellness. Fire Service Gear Cleaning Validation. This project address the question of ‘how clean is clean’ by establishing a relevant and repeatable method to validate cleaning processes for fire service PPE coats and pants that are cleaned in fire service extractors. This project address the question of ‘how clean is clean’ by establishing relevant and repeatable methods to validate cleaning processes for fire service gear other than PPE coats and pants, such as helmets, boots, gloves, SCBA, and related response equipment. This project addresses the validation of cleaning methods for fire fighter PPE cleaned by extractors such as coats and pants. The primary work for this multi-year effort is now completed and the final documentation is forthcoming. Funding for this effort has been generously provided through a DHS/FEMA Assistance to Firefighters Grant (AFG). General cleaning exists for the stakeholder community in NFPA 1851, Standard on Selection, Care, and Maintenance of Protective Ensembles for Structural Fire Fighting and Proximity Fire Fighting. But more science is needed to support, clarify and enhance those procedures.  An NFPA 1851 cleaning task group has been attempting to address this topic on behalf of the responsible NFPA technical Committee, and this task group is closely following the work of this research project. How did this fire PPE cleaning project even come to be? This 7-minute video explains how the NFPA 1851, Standard on Selection, Care, and Maintenance of Protective Ensembles for Structural Fire Fighting and Proximity Fire Fighting, cleaning task group work turned in to this AFG/NFPA/FPRF/NIOSH cleaning project. Beginning in late 2015, a four-phase approach was initiated to use scientific methodology to identify and establish procedures for ensuring optimum contaminant removal from fire fighter PPE, focusing on coats and pants that are cleaned via extractors. Further related information for this effort on (1) PPE Cleaning Validation is described below. This project addresses the validation of cleaning methods for fire fighter gear other that coats and pants typically cleaned by extractors, such as helmets, boots, SCBA, hand tools, etc. To the extent possible, other avenues of contamination transmission will also be addressed such as electronic equipment, hose, apparatus seat covers, etc. This research project intends to extrapolate upon the previous project (addressing PPE Cleaning Validation) and extend the same approach to address the other key components used by fire fighters that need to be regularly cleaned. The primary work for this multi-year effort is now commencing. Funding for this effort has been generously provided through a DHS/FEMA Assistance to Firefighters Grant (AFG). Is this issue important to you? Do you want to help address fire fighter safety and health? If you want to be on our mailing list (used only for this project), please provide your e-mail address. We will notify you when interim and final reports/updates are available. If you want additional information pertaining to the NFPA 1851 cleaning task group (handled separately from this research project), you can email the task group chair Tim Tomlinson.